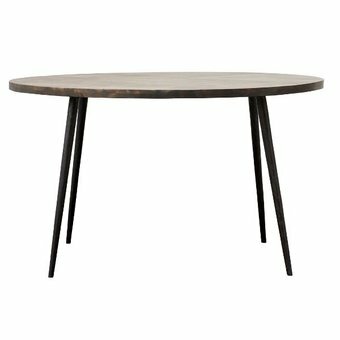 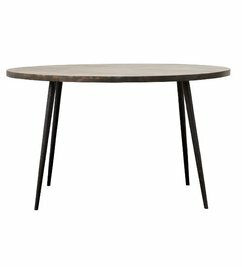 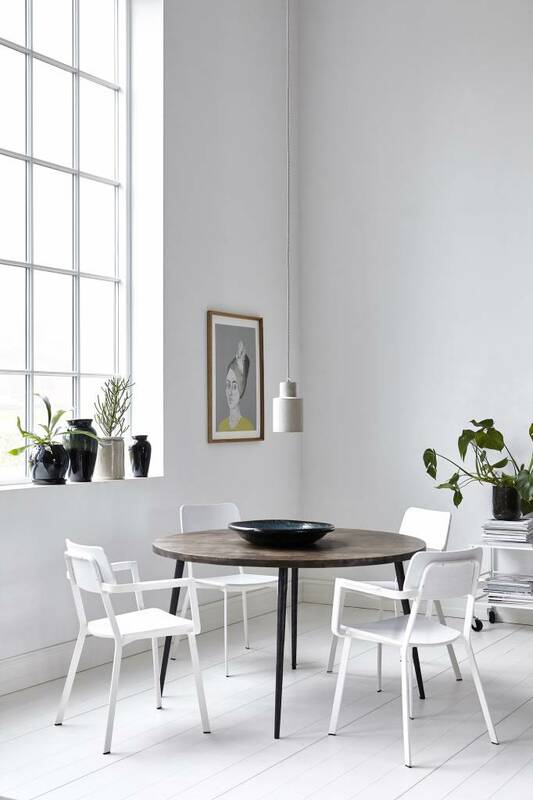 Rustic round dining table with mango wood top and black metal legs. 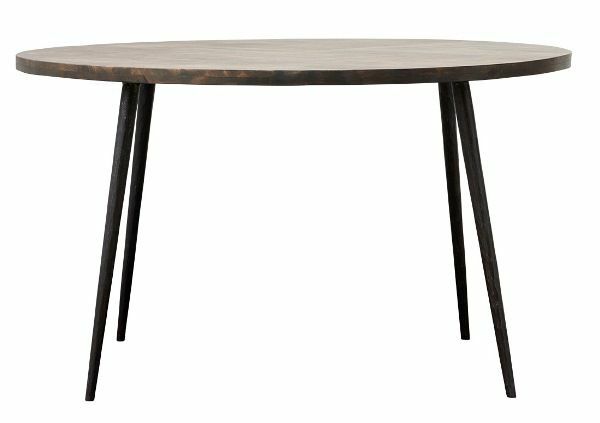 Slide tasty with the family at this rustic round table of House Doctor. 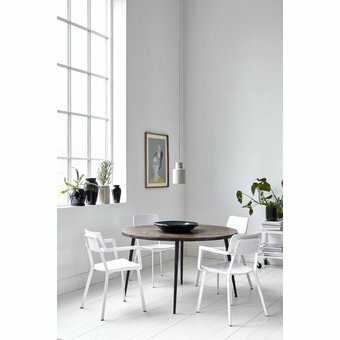 Maintenance: The table top can be removed with a moist cloth.